These Egg White Benefits for Skin, available with recipes are science-backed and effective. Trying them can help you achieve a flawless and beautiful face in no time! Just like wax, an egg mask can also help you get rid of unwanted facial hairs. Whether they are on cheeks, forehead or upper lip, this mask comes in handy. To prepare it first separate the egg white from the yolk and then apply it all over your face. You can use a makeup brush or a cotton ball to coat your face with egg mask. Now place a paper towel on your face, make sure to provide perforations for eyes and mouth on it. Again repeat the earlier process of coating egg white but this time over the paper towel. Once the egg mask is dry completely, pull off the paper towel in one sudden motion. You’ll notice the removed hair. The sagging skin makes us look older than we actually are. It doesn’t matter whether it’s under eyes or cheeks, egg white mask is an easy and inexpensive solution to get rid of it. Directly apply egg white on your face using a clean makeup brush and let it sit. Wait for the mask to dry completely then wash your face with tepid water. The results will be visible just after one use but you’ll need to do it regularly for some time for the positive changes. 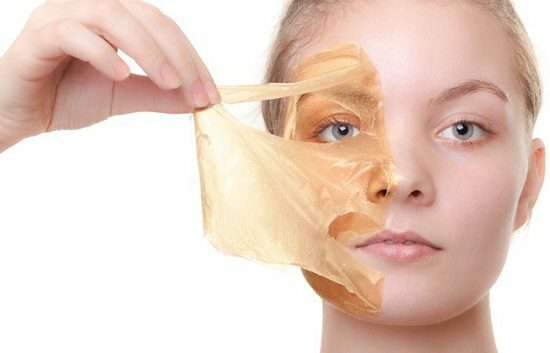 For more skin tightening remedies, click here. Note: You can add a tablespoon of honey to the egg white if you have dry skin. Collagen is a protein, which is responsible for the youth of your skin. As you get older, your body starts to produce less collagen and as a result, you see wrinkles and fine lines on the skin of your face and other body parts. Egg white contains proteins and nutrients that promote collagen production in the skin. To make this mask–Simply apply the egg white on your face and leave it there for 15-20 minutes. Rinse your face with water and towel dry it. It’s that simple! The visible pores on the skin do not appear pleasant and can be formed due to various skin ailments. One sure way to make them less to nonvisible is by reducing their size. You can achieve that by the egg white mask–One of the best Egg White Benefits for Skin, it has astringent properties due to which it tightens the skin and reduces the pores. 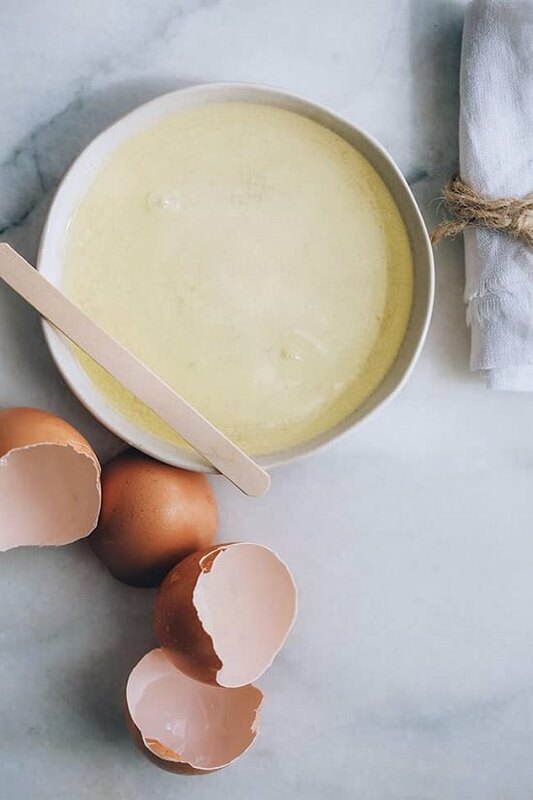 To make this mask simply take egg white in a bowl and add a tablespoon of lemon juice in it. Put on this mask over the pores or on your entire face. After 15 minutes wash your face with lukewarm water. For best results apply this mask at least twice in a week. 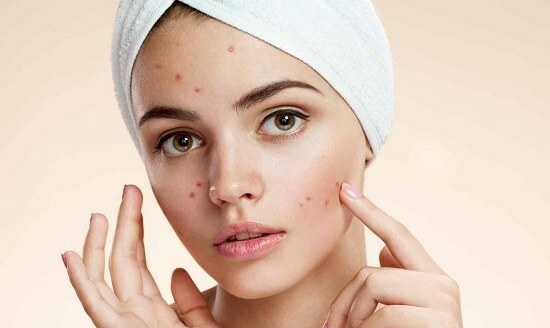 Acne is quite common skin ailment, which is known to trouble mostly in the adolescent years. People with oily skin are more prone to acne as it is caused by secretion of excess sebum from the sebaceous glands. As the egg white clears up the oil buildup, it might actually give some relief in acne. 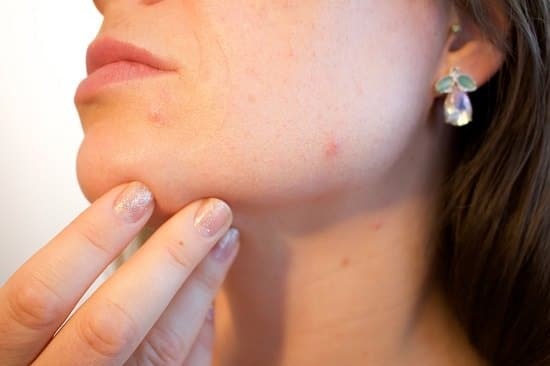 If that is not enough, the lysosomes enzymes present in the eggs, fight acne-causing bacteria. Also, adding a few drops of tea tree oil in egg white can do wonders. Tea tree oil is antiseptic, antibacterial, and antifungal in nature making it a very active acne fighting ingredient. To make this acne-reducing mask, add four drops of tea tree oil in egg white and mix it thoroughly. Apply this solution gently on the affected area using q-tip so as not to aggravate the acne. After 15 minutes or so clean up your face gently with warm water and apply moisturizer. Not only acne but the scars on your face, reminiscent of what you went through can be reduced using egg whites. The healing nature of egg white makes it a perfect remedy–It rejuvenates the skin by removing the dead skin cells. If the skin feels inflamed, add aloe vers gel to the egg white as it’s anti-inflammatory in nature. Plus, it also regenerates the dead skin cells making the mask even more effective against scars. Oily skin can make your face appear dull and dark and can also be a cause of skin ailment such as acne as mentioned above. As the pores shrink up because of the tightening of the skin, it reduces the oil secreted. Prepare this mask by adding a tablespoon of lemon juice in one egg white and whisking this solution till it foams. Before applying this mask thoroughly wash your face with lukewarm water. With the help of fingertips massage it all over your face. Let it sit for around 15 minutes then wash your face with clean cold water. Use this face mask at least twice in a week for optimum results. 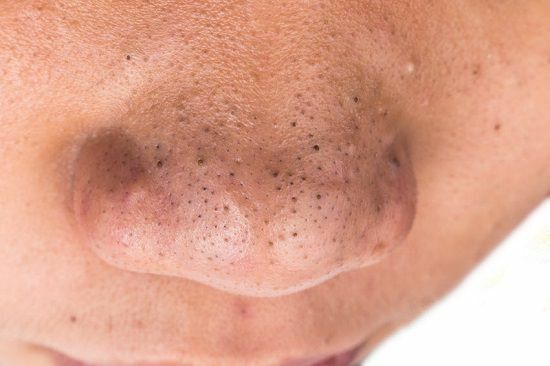 Blackheads are formed because of sebum stuck up in the pores. To get rid of them, one effective way is to use egg whites. The astringent property of egg white tightens the pores, and thus the gunk is pushed out naturally from the pores. Another way to get rid of blackheads is by using paper towel pore strip with egg white. Layer your face with the egg white on the affected site which is mostly nose or chin. Place the paper towel gently on the face and again brush the egg white over it. After half an hour gently peel off the paper towel. You’ll notice that most of your blackheads get stuck up to the inner surface of your homemade pore strip. Wash your face thoroughly after that and enjoy staring at your flawless face in the mirror. Did you find these egg white benefits for skin useful? Leave your thoughts below in the comments section!